When mentioning Vietnamese cuisines, people often remember Pho, Bun cha, Bun bo Hue or other kinds of noodles. 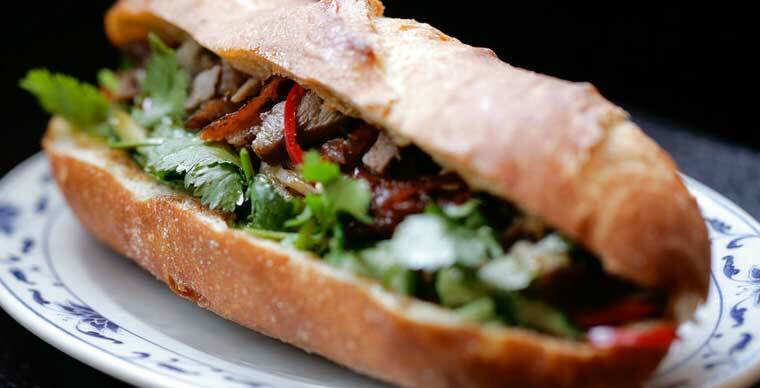 However, silently, Vietnamese sandwich gradually asserted its place in the heart of people all over the world. As a Vietnamese, whenever it comes to Vietnamese cuisines in a conversation with a foreigner, I know Banh mi should be the star! Nothing accurately reflects the essence of a culinary culture like its street food. Why does Gordon Ramsay, a famous chef who only works in A-class restaurant chains, is ready to float on the boats in the West River just to learn how to make a bowl of noodles? It is these folk foods that are deeply attached to the popular class, with the majority of the population - the key part that makes up the spirit and rhythm of the whole land. 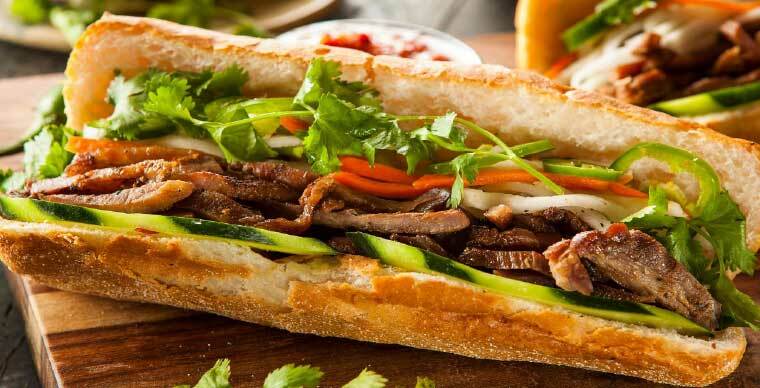 Talking about Vietnamese cuisines, if the pho is the representative for fussy dishes, banh mi is different, it is a fast food appearing all year round in the Vietnamese life. But the mediocre familiar taste is more diffuse than any other specialty. 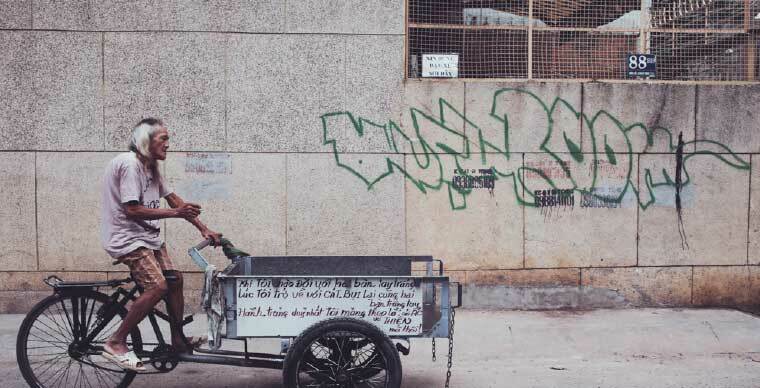 Read about the ups and downs of banh mi along with the history of Vietnam, from a vendor food to the internationally recognized culinary achievement, we were all astonished: Look no further, the beauty is always by your side - even in a bread ordinary cart. In 1859, the wheat bread made by Western army followed French troops into Gia Dinh. The bread at that time was still so "Western", solid intestines and the crust was not as crispy as it is now. 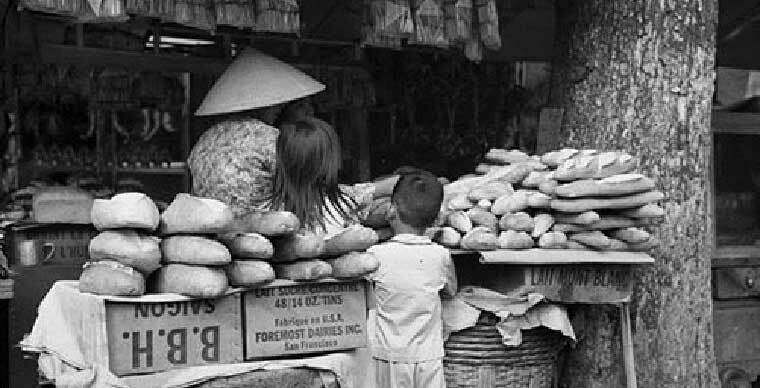 It was not until the government decided to provide a standard diet consisting of bread and milk to elementary schools, Vietnamese bread had the first change compared to the original one. Baguette - the mother of bread - is usually baked with wood and there were only about 7-10 buns each time which was not enough to supply the school. And so in 1970, tall brick toasters were imported from Japan, allowing to bake dozens of loaves of bread at once which is also the type of oven that is often used to bake bread. Unlike firewood, charcoal, brick toaster, it is a closed oven, which retains steam when baking. At extreme heat and extreme water vapour, the bread will become hollow and spongy inside, while the crust is crunchy. This is also the typical Vietnamese bread compared to Western bread. Saigon people like the bread because it is not too "buxom" like the French baguette. 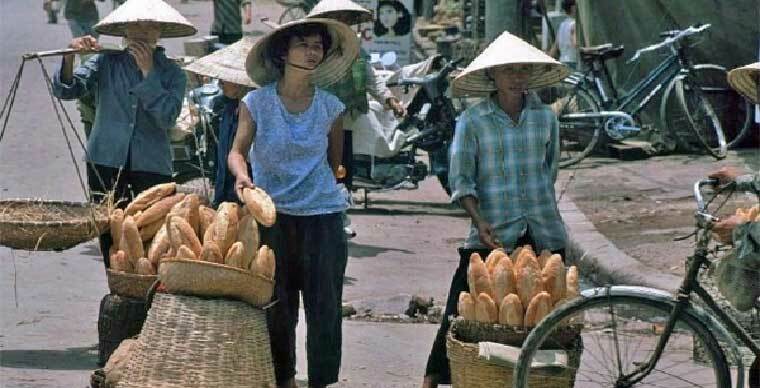 Old Saigon did not only have “xe con ong” or traditional “ao dai”, but also a picture of bread being sold all over the street: on bicycles, trolleys, in simple restaurants of commoners. Banh mi was just really shaped when the Hoa Ma restaurant appeared. Before the small shop in the Cao Thang - Nguyen Dinh Chieu corner of Mr. Hoa, Ms. Tinh was born, Vietnamese bread was still enjoyed in the western style which is eating the bread separately or just with soup. Before coming to Saigon, Mr. Hoa and Ms. Tinh worked for a bakery in Hanoi. Here, people sell their own sandwiches with cold meats and serve them at the customer's request. Feeling that it is too time-consuming, Hoa and his wife had thought of how to clamp the fillings into the bread - in case the customers do not have time to sit down and eat. Busy students and office staffs are very fond of this serving way of Hoa Ma restaurant. But more than just stabilizing the life of a family migrating from the North to the South, this restaurant also marked the birth of "banh mi". Learning how to make banh mi like Mr. Hoa, the other also began to “Vietnamize” bread to please their cútomers: The gut is a spongy and thin, the crust is getting thicker, the size of the cake is also 2-3 times smaller. 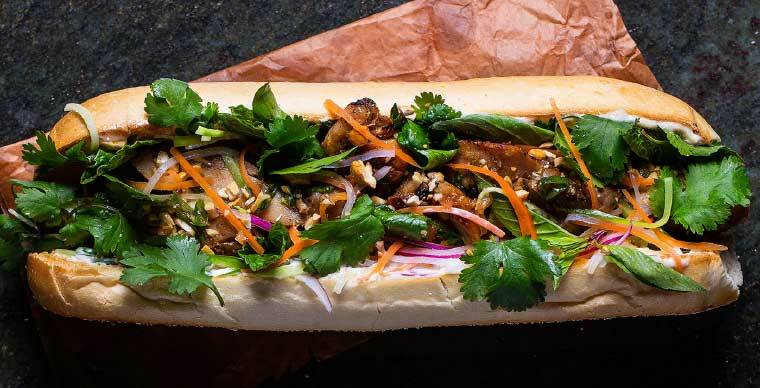 For transporting away, and animal fat is replaced by vegetable oil to make banh mi feel lighter. Bread now not only had ham, pâté but also pork and pickles - which is the food close to Vietnamese food than ever before. 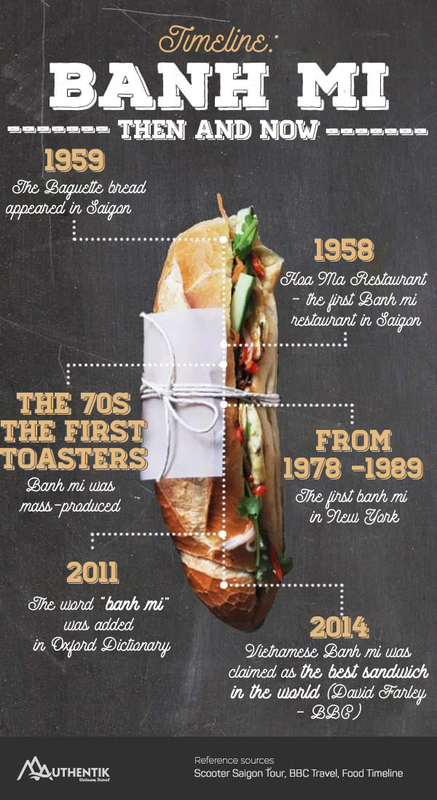 Banh mi grew, from a small shop on Hoa Ma street to hundreds of stores throughout Saigon, Vietnam and around the world. 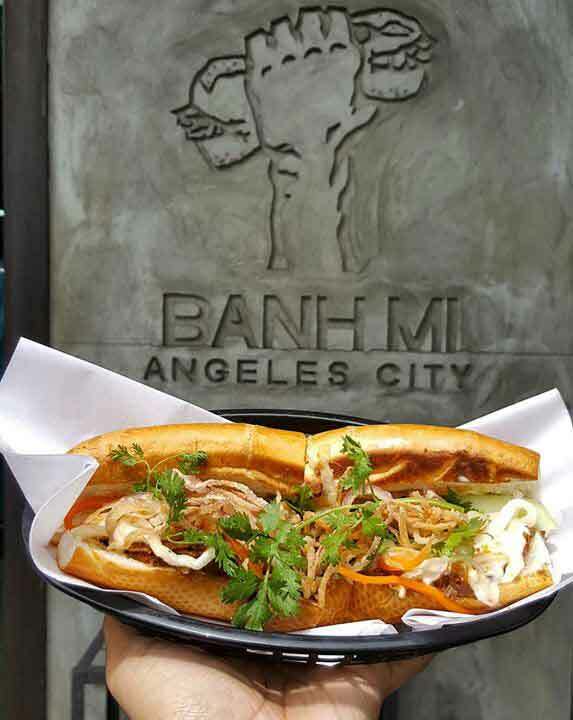 Unlike other Vietnamese specialties, banh mi has its own way of spreading to the world. If pho is introduced as a “quốc hồn quốc túy” (national spirit national quintessence) which is the must-try food when visiting Vietnam, the bread followed the footsteps of overseas Vietnamese wandering to all over the five continents. Since the ingredients are very close to Western culinary, banh mi the easiest homemade food that deeply imbued their ethnic identities they could make. From a food on the family tables to the street vendors, banh mi had naturally become the "soul of Vietnam" in the eyes of the West. Almost everywhere the Vietnamese appear, you will find at least one famous banh mi restaurant or vendor. Coming to America, there are Saigon Bread in New York, Bun Mee in San Francisco, and the famous chain of restaurants called Lee’s Sandwiches spreading over the south of the US. Coming to Canada, there are Bread Boys in Toronto, Bread of Exaltation in Calgary. 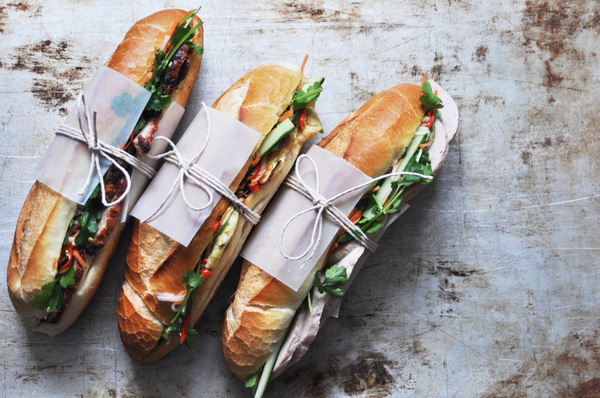 Coming to the Czech Republic, there are Banh Mi Ba and Mr. Breads in Prague. Born to serve the Vietnamese community, but these banh mi restaurants were quickly accepted and loved by foreigners. They could not imagine that also from pâté, ham, familiar flour etc can create such a special dish. 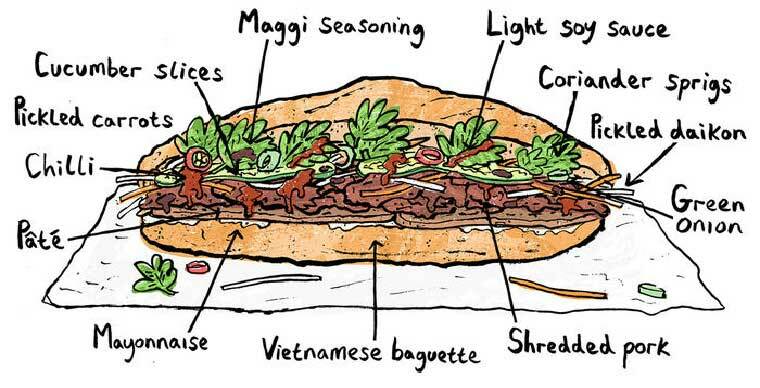 All the ingredients in banh mi blend in harmony with each other and have its own meaning. People do not put pickles, cucumber or coriander to the food just for a touch of flavour. It’s those vegetables and herbs that accompanied perfectly with fat, fluffy pemmican simply yet harmoniously to every detail, which is characteristic of Vietnamese cuisines fascinating foreigners. The famous food blogger admitted banh mi is his favorite sandwich. The Rough Guides magazine published the list of the 20 best street foods, including banh mi shoulder-to-shoulder with Taiwanese milk tea and gelato ice cream from Italy. In this way or another, the most important event should be "banh mi" became the noun added to the Oxford dictionary in April 2011. Thus, through the journey drifting from the motherland to the foreign lands, banh mi still successfully left its own mark - not another version of French baguette or any other American sandwich. What position back home for banh mi? Banh is more famous than most Vietnamese think. If you type the keyword "banh mi" on Google, you will find hundreds of articles about the history and recipe of banh mi or the banh mi industry worldwide. However, most of them are written by foreigners. They can be a well-known culinary expert or simply a backpacker, but they all recognize banh mi as the number one street food in Vietnam. Right in Vietnam, people just have to go to the street to get one of the culinary trend that is making the world "crazy". Maybe because banh mi is already too familiar, too close to Vietnamese people’s lives that they have been forgetting about promoting as well as appreciating banh mi as the treasure it is. No matter how successful the overseas banh mi chains are, they can never achieve the diversity and accuracy needed like in the home country. Besides the variant recipes appearing along with the regional and cultural variety such as Southern pork rind banh mi or banh mi cha ca ( grilled chopped fish bread) from Central Vietnam. Each restaurant has their own secrets, forming hundreds of recipes that can only be found in Vietnam. If these culinary heritages are not recognized and preserved they will be easily faded once these people go away..
At a corner of Tran Cao Van street, there is a normal small vendor just like any other banh mi vendor you can see in Hoi An ancient town, an 80-year-old lady carefully places each piece of pork rolls in the banh mi for her guests. TripAdvisor travel site called her "The Banh mi queen". There have been diners across the ocean just to enjoy her crunchy breadcrumbs, and left her such kind words: "May you stay healthy, so that tourists can come back here to enjoy your bread more ". Maybe in some alleys, some street corners around you, there are also such "banh mi queens" silently maintaining this peculiarity of the Vietnamese culture.